An Abbie Russell strike gave IHL women's leaders UCD a 1-0 victory over Ulster side Ards in Dublin on Saturday. The students stay three points clear of Cork Harlequins, who beat Loreto 3-1, helped by goals from internationals Roisin Upton and Naomi Carroll. Glenanne moved four points clear at the top of the men's table by coming from behind twice to draw 2-2 at Monkstown. The wintry weather led to all Ulster Hockey fixtures being called off. Derbies in the men's Irish Hockey League between Lisnagarvey and Annadale as well as Banbridge and Cookstown were also postponed because of the snow. 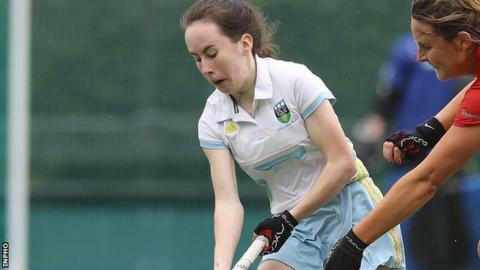 In the women's IHL the game between Pegasus and Belfast Harlequins fell foul of the weather. Railway Union beat Pembroke 3-2 and Monkstown got their first points of the season by beating Trinity 2-1 in the other women's games.